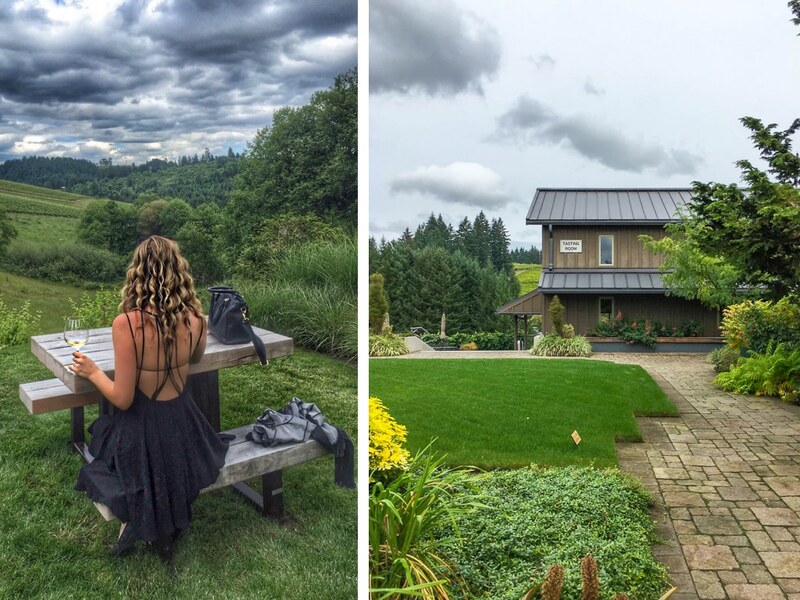 Come for the beautiful view, tasting room and grounds; stay for the wine. 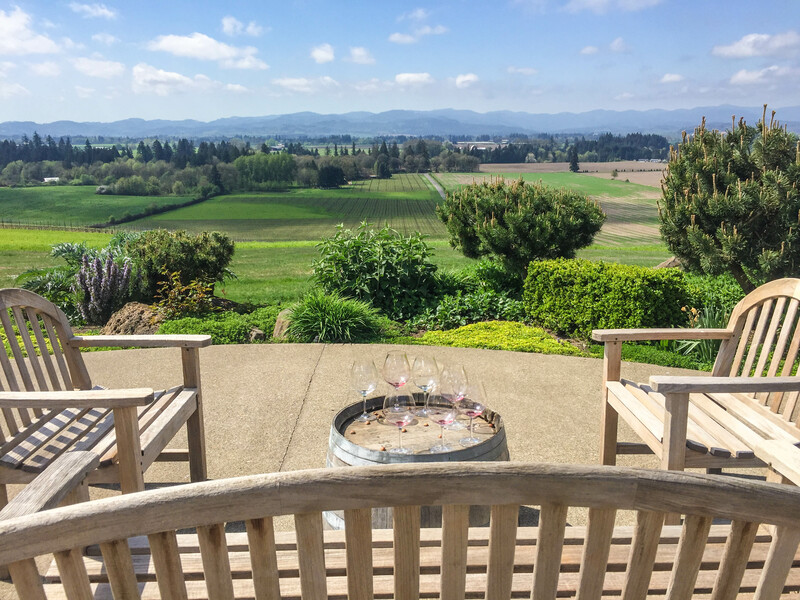 WillaKenzie is known for making great wines from the Pinot family of grapes and are strongly committed to wines that reflect the place on which the grapes are grown. The tasting room is surrounded by beautifully landscaped gardens, and perched on a hill boasting stunning views of the vineyards and hillside. There is a $20 tasting fee that’s waived with a two bottle purchase. You can choose between the regular flight or the reserve flight (though I highly recommend trying both). Ironically, the day I visited was also the day WillaKenzie was sold to Jackson Family Wines. It’s a little disheartening to hear of another great, local vineyard being bought out by a corporate entity, but hopefully they don’t change too much! Also located atop of a large hill (I like vineyards with views, if you haven’t noticed) is one of my favorite vineyards: Anne Amie. 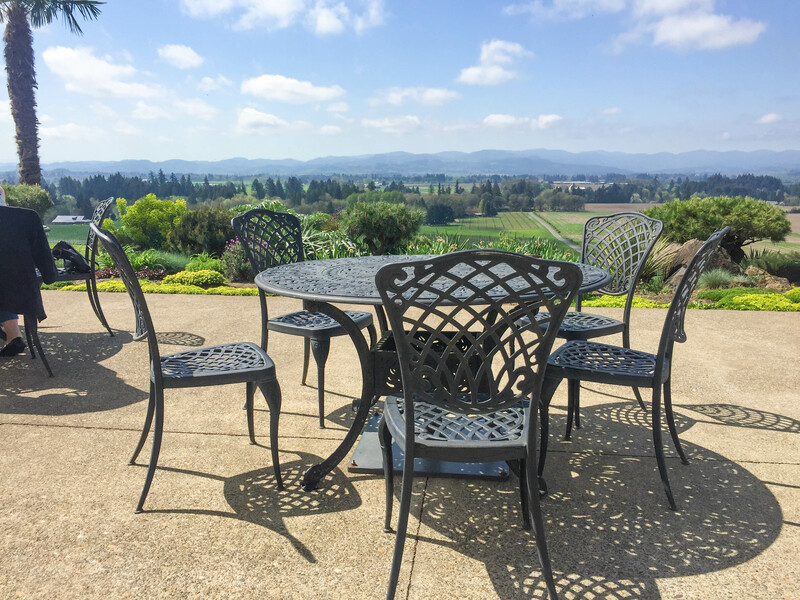 The vineyard boasts breathtaking views of the Pacific Coast range, as well as a large patio from which to take in the stunning scenery. Once the shock of the gorgeous view fades, the wine and the people take the spotlight. 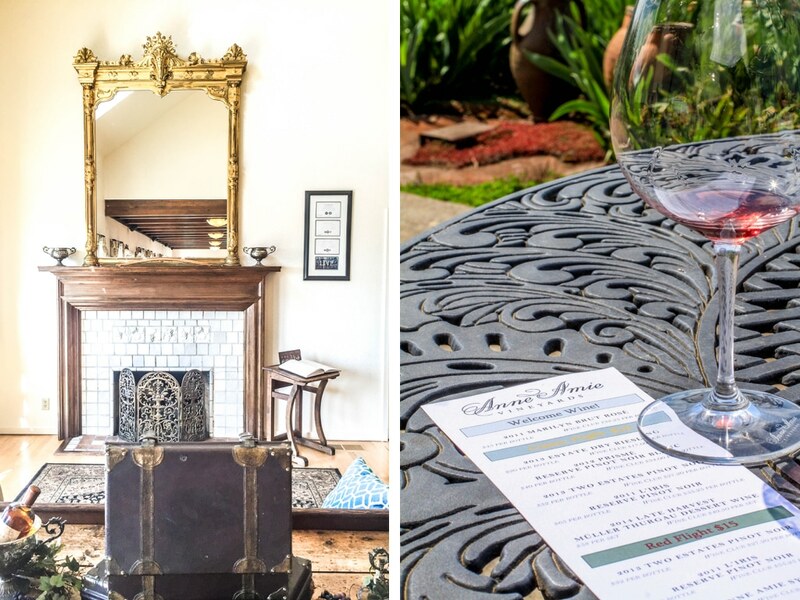 Known for its great service and friendly staff (and, of course, good wine), Anne Amie keeps Pinot at the heart of its production, focusing on Pinot Noir, Pinot Blanc and Pinot Gris. Their Pinots are also complimented by some delicious dessert wines and an occasional sparkling. 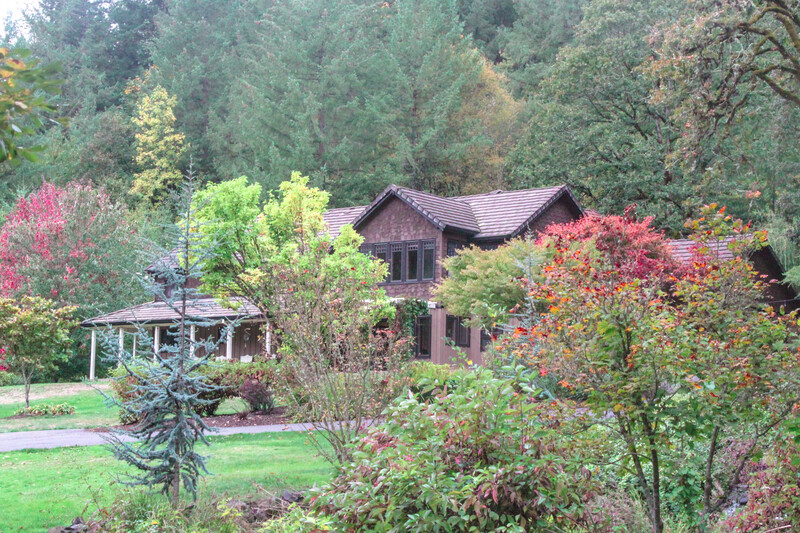 Elk Cove is one of Oregon’s oldest vineyards and has long been a pioneer for Oregon wine. They have been making wine since 1977, and it shows. You will literally not taste a bad wine here. 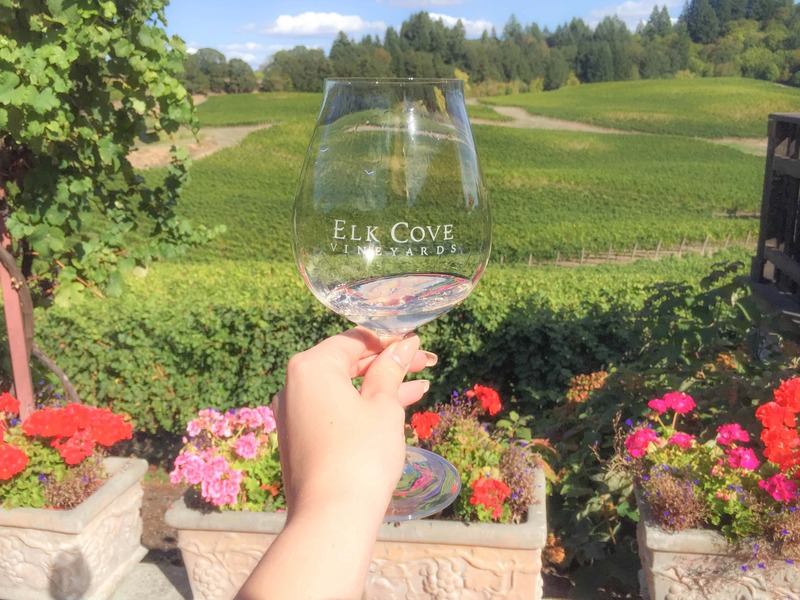 Specializing in – you guessed it – Pinot, Elk Cove has won many awards for its Pino Noir, Pinot Gris and Pinot blanc. In fact, their 2013 La Bohème Pinot Noir is among my top three favorite red wines in the world – so, ya… it’s really good. The service and hospitality are also great, and the employees are very knowledgable about the wine and vineyard history. 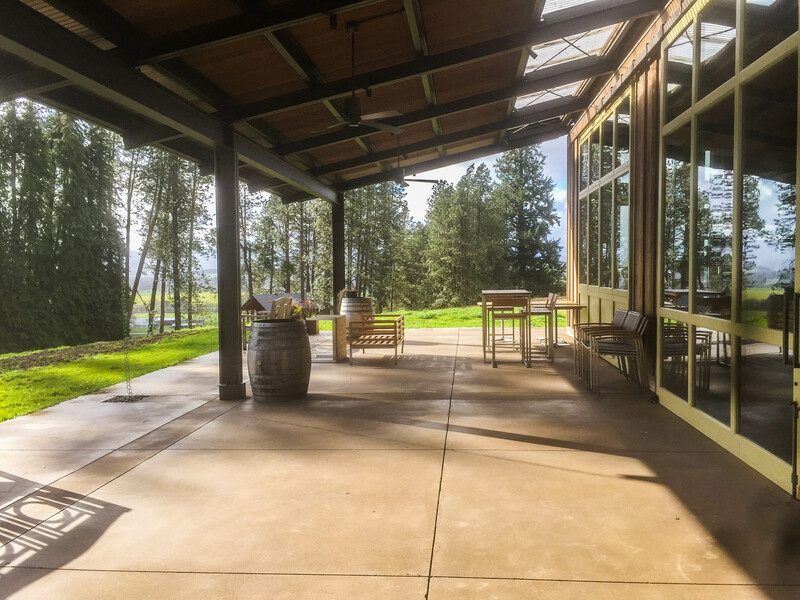 The modern tasting room features large windows and a wrap around patio with more stunning views of the surrounding vines. 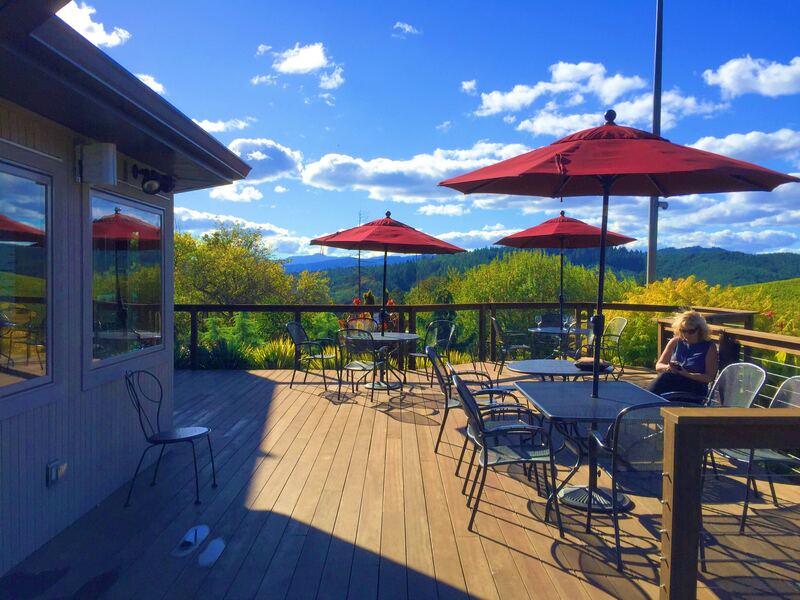 From the view, to the wine, to the service, everything about this place is on-point. To say that Soléna Estate makes a great first impression is an understatement. 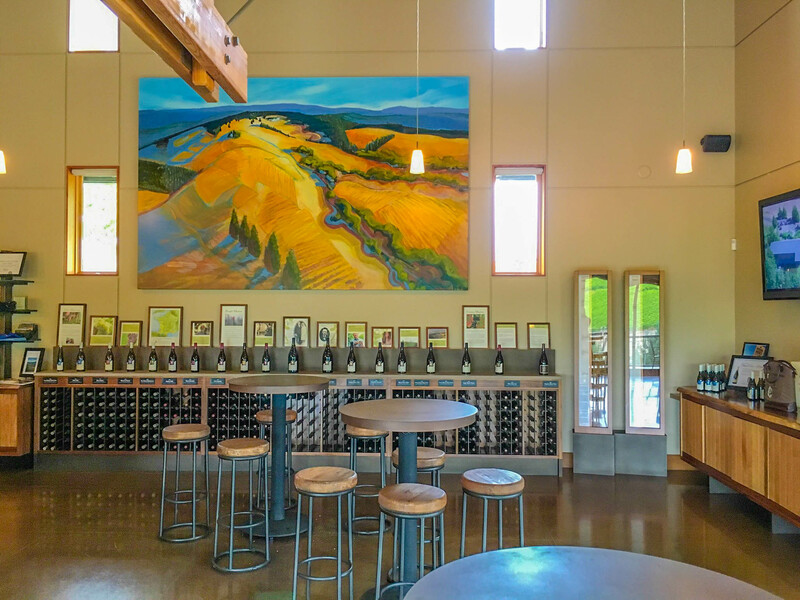 From the Tesla charger in the parking lot to the modern, sustainable tasting room, this off-the-beaten-path vineyard is a Yamhill-Carlton hidden gem. 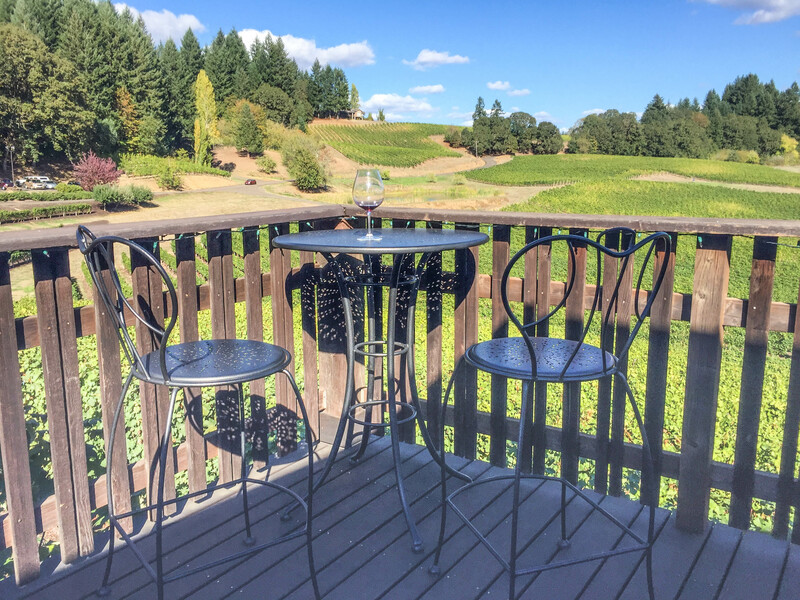 Unlike the majority of its neighbors, Soléna Estate doesn’t focus solely on Pinot Noir. 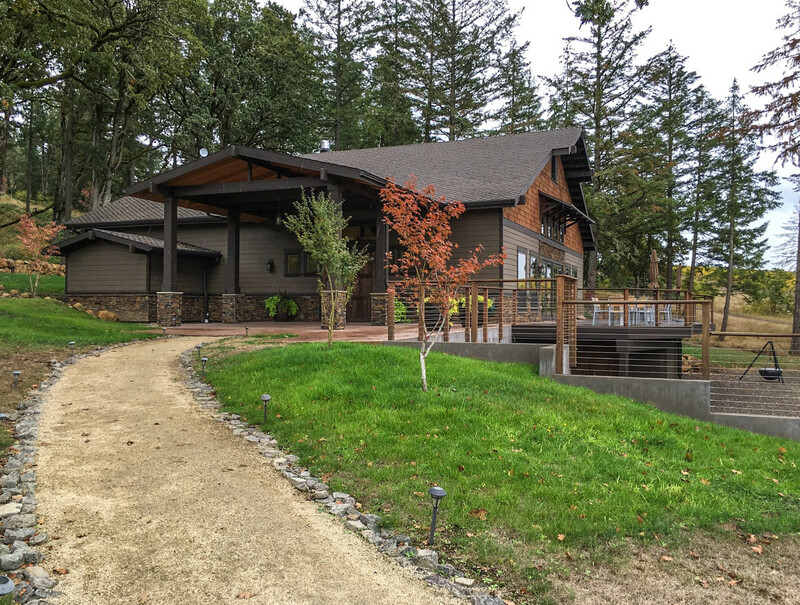 Though its 80-acre estate is compromised Pinot Noir grapes, visitors also have the option to taste numerous other varietals, including Chardonnay, Merlot, and Syrah (sourced from select sites throughout Oregon and Washington). 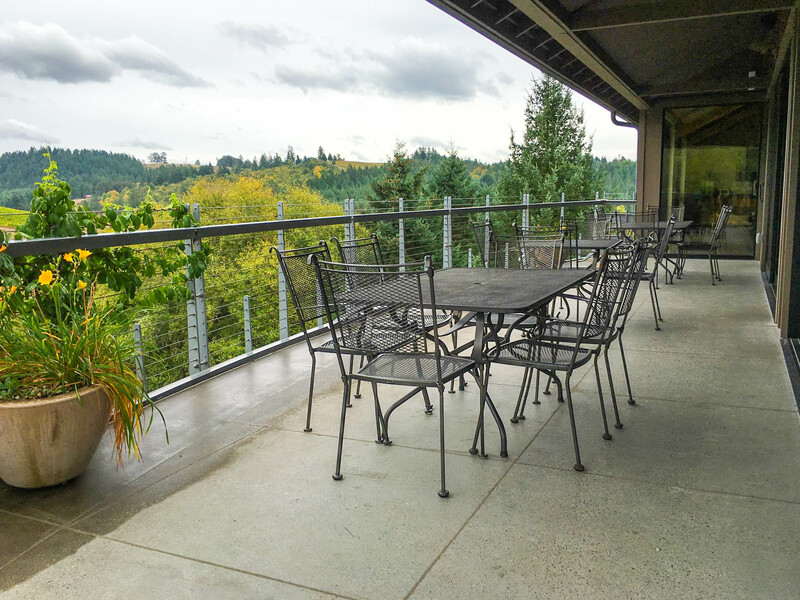 The tasting room is beautiful and features floor-to-ceiling windows, a large deck and stunning views of the vineyards. 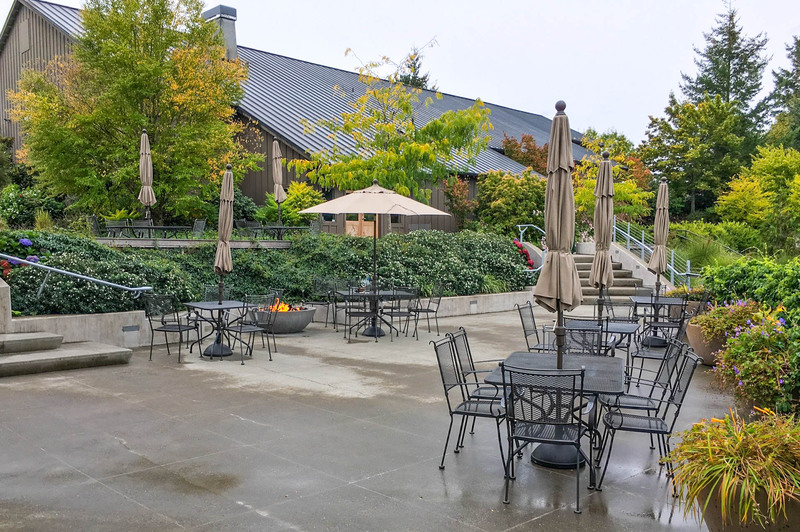 The outdoor patio is a beautiful place to enjoy a glass of wine during the summer, while visitors during the winter can relax on the large couches and lounge chairs that surround the indoor fireplace. 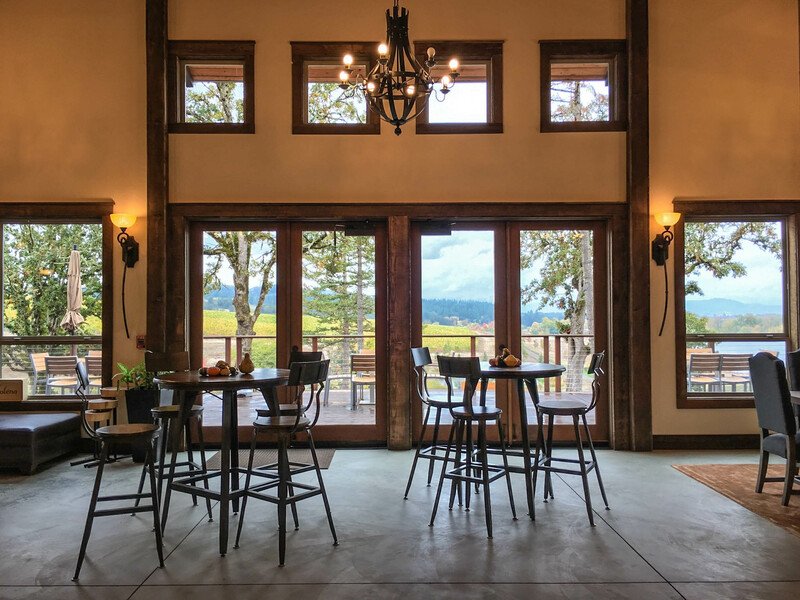 Soter is somewhat of a hidden gem in the Willamette Valley, as its tasting room is open by appointment only. Though you generally need to make an appointment weeks in advance, it is definitely worth the extra planning. 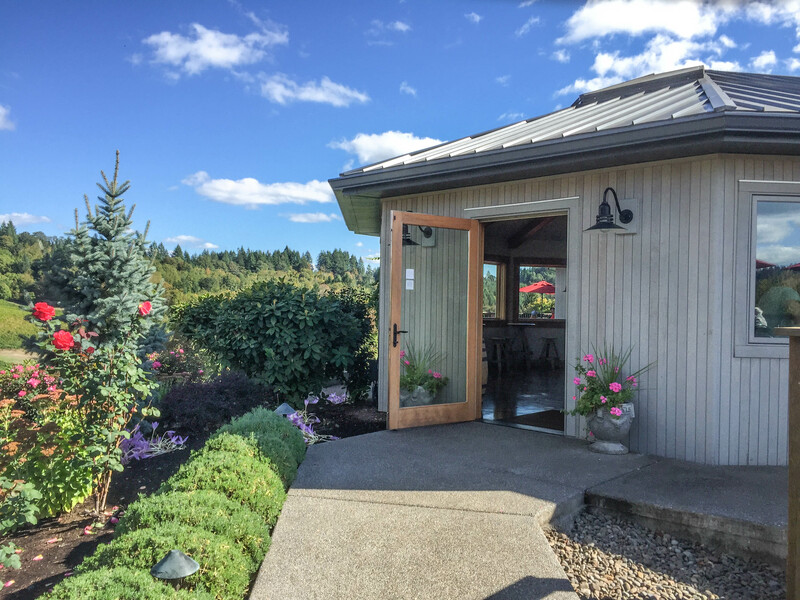 When you arrive at Soter, they meet you in the parking lot with your first tasting. From there, you can enjoy the beautiful views of the main room before you’re taken to a seperate tree-house-style cabin for a guided tasting. The private, sit-down tasting is extremely intimate and informative. Tasting guides are very passionate and knowledgeable, so you learn a great deal about the wines and estate. 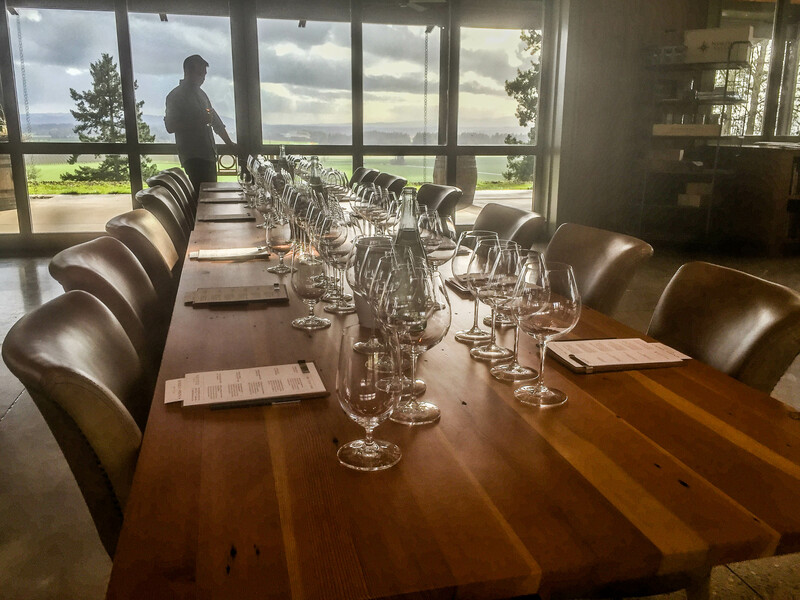 Soter also offers a MSR Provisions Tasting that includes wine and food pairing. 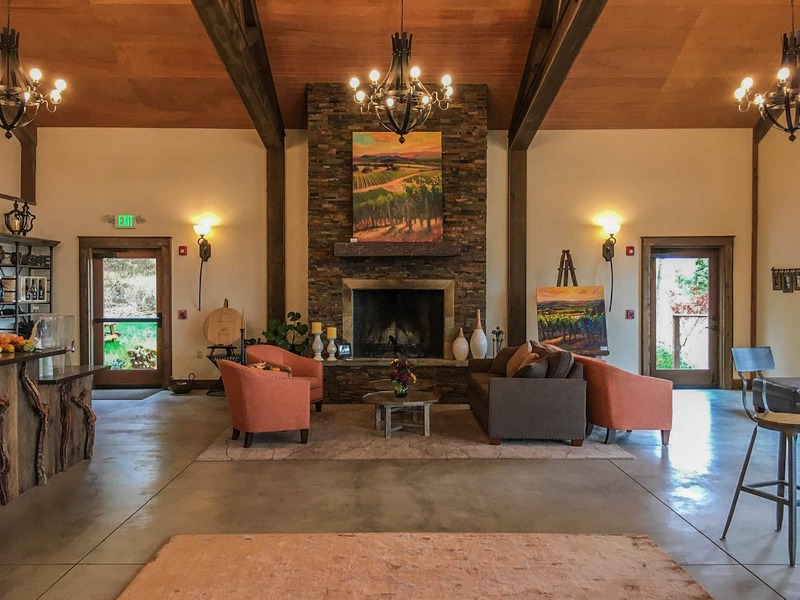 Your accommodations will be the launch pad for your entire Oregon Wine Country experience, therefore you should seek out the same intimate and quality traits in your hotel as in the wineries you visit. Enter, The Brookside Inn. 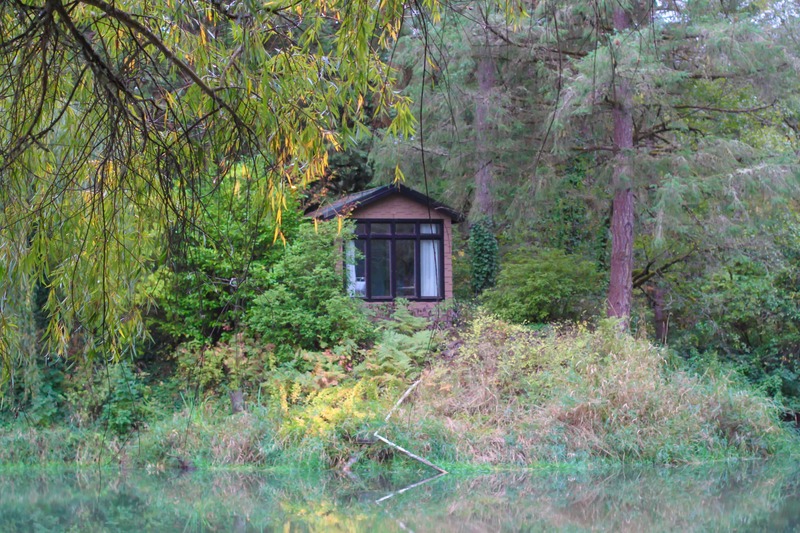 I cannot speak highly enough of this charming B&B. 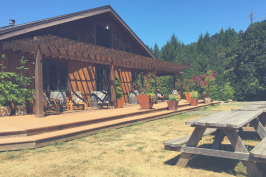 The land is absolutely beautiful and the accommodations are comfortable, but (like most places in Oregon Wine Country) it’s the people behind the business that solidify the experience and make it memorable. The inn keepers Jerry and Erika Tinedell are quick to make you feel at home and their passion for the B&B and hospitality is immediately evident. The gorgeous, forest-covered grounds supply the perfect backdrop to a relaxing retreat.The sprawling estate boasts a large pond (stocked with fish), a fire pit, hiking trails, gorgeous gardens and landscapes, several water features, and even a stunning prayer / mediation house that overlooks the pond. 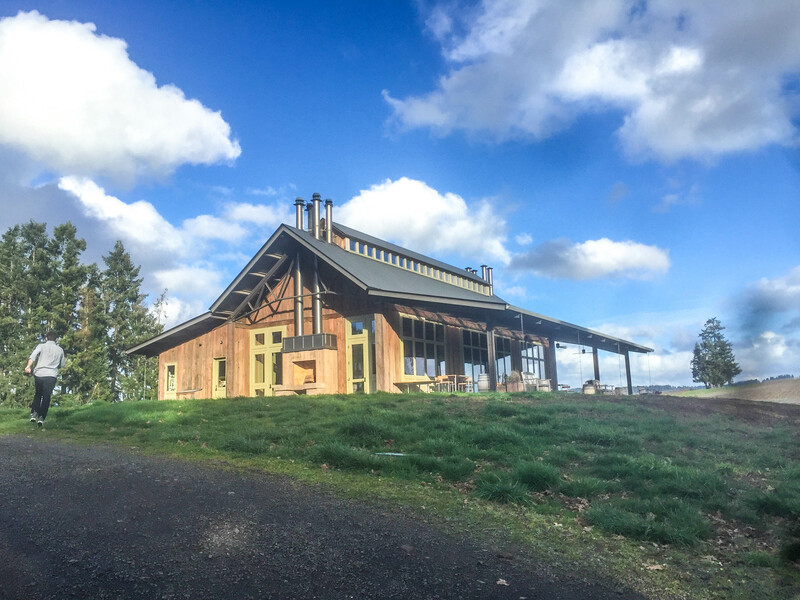 The B&B is conveniently located in the Yamhill-Carlton appellation, making it a great home base for a weekend wine tasting getaway. There are numerous vineyards and wineries nearby, and Jerry was a great resource for recommending places to visit. This is such a great post! I’m super familiar with the Oregon beer scene (I’m more of a beer person, myself), but am completely lost when it comes to the wineries! I’m from Seattle, so any one of these could be a quick, fun getaway! Wow, that shot with the clouds is so dramatic! Wine country is gorgeous. I love Oregon’s wine country. My favorite is Bells Up in Newburg. Have you been? oh man i gotta get to oregon wine country asap. i love that you featured some off-the-beaten-path wineries with great views. i definitely can’t wait to get back out there. What gorgeous wineries! 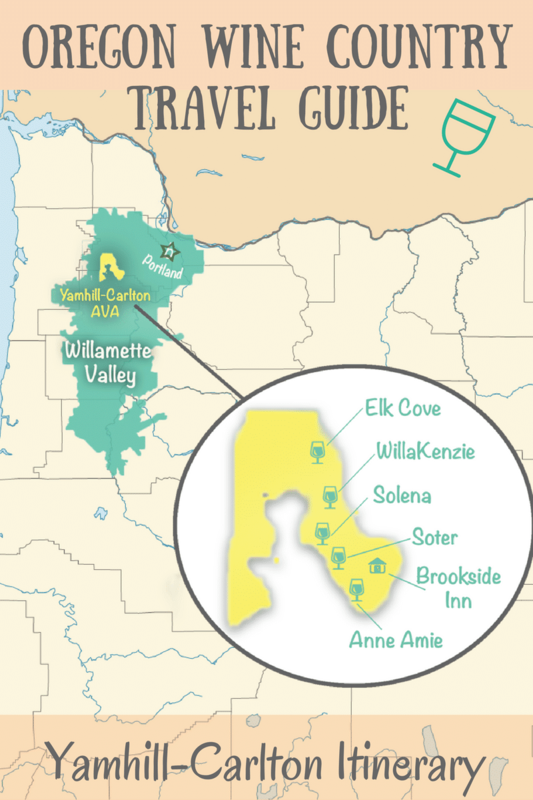 If I wasn’t so anti-Pinot it would be worth a trip north to check out Oregon wine country! Great post! 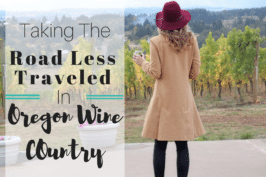 Just came back from my first Oregon Wine tour and now, thanks to this post, I can’t wait to go back! What an awesome post but all I could focus on was the fabulous back of that dress! I have always wanted to visit Oregon, such a beautiful state. Thanks for sharing this great information! Umm how did I not know this existed?! I need to plan a girl’s trip here pronto!! Those all sound great! 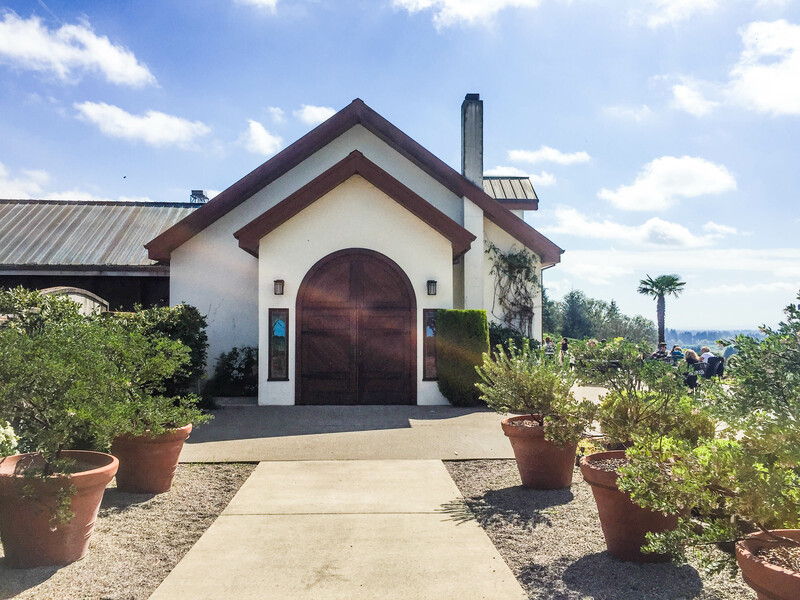 My wine tasting experience is quite limited but I have been to Soléna and it was excellent! Wow! I’m not big on wine, BUT… I’d drink to that! 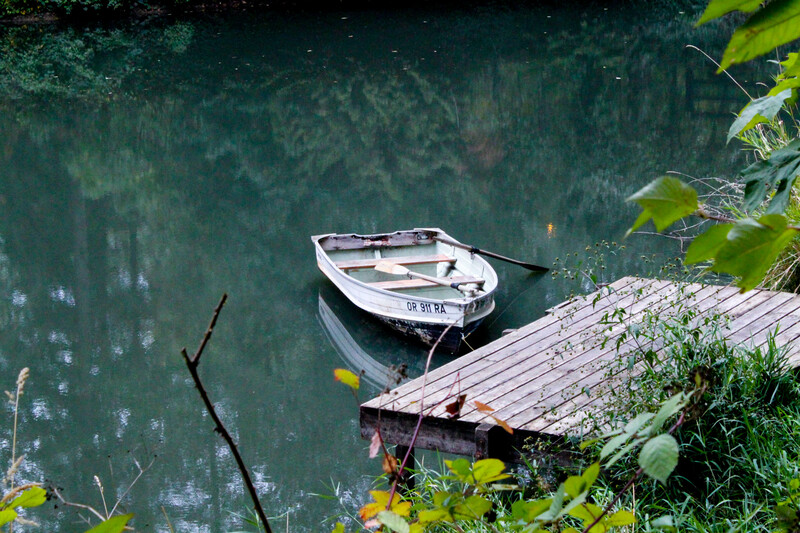 This place looks totally beautiful and peaceful. Will definitely be on my to-do lists! Great post! 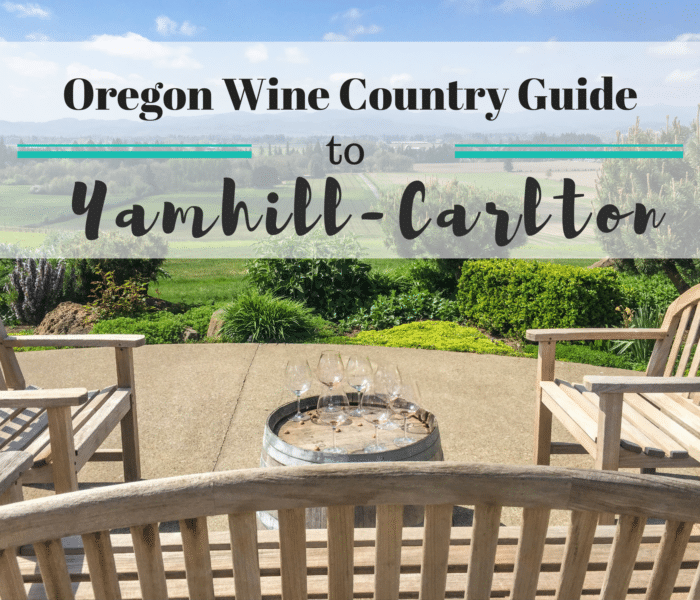 We love the Yamhill-Carlton wine country! 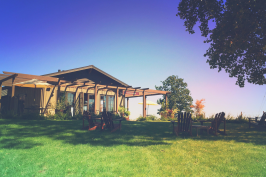 Have you been up to Laurel Ridge Winery outside of Carlton yet? They have an amazing port that will make you melt.